Oh how awesome. Can’t beat those smiles. Aw! We have the trifecta of birthdays here. First my son, then my daughter, then me. Usually we do a big party for them and a small trip for me. And of course, breakfast out and decorated bedrooms. What a fun idea! 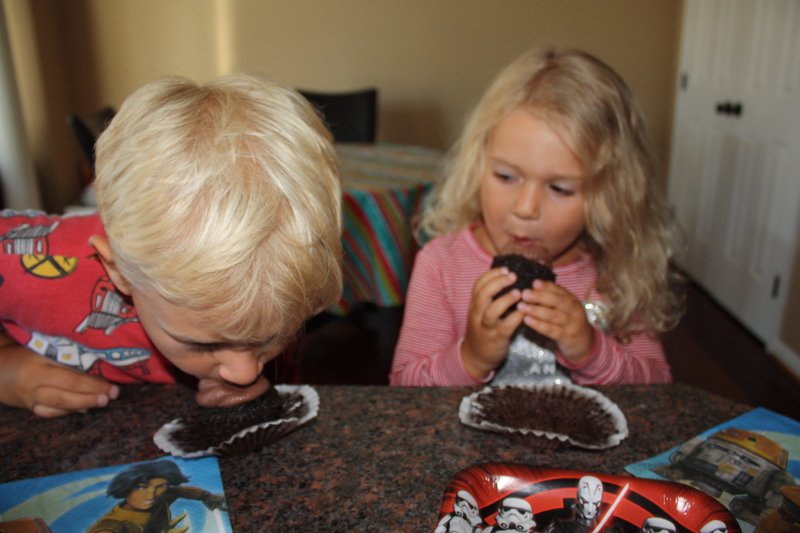 My kids would like this especially cupcakes for breakfast! 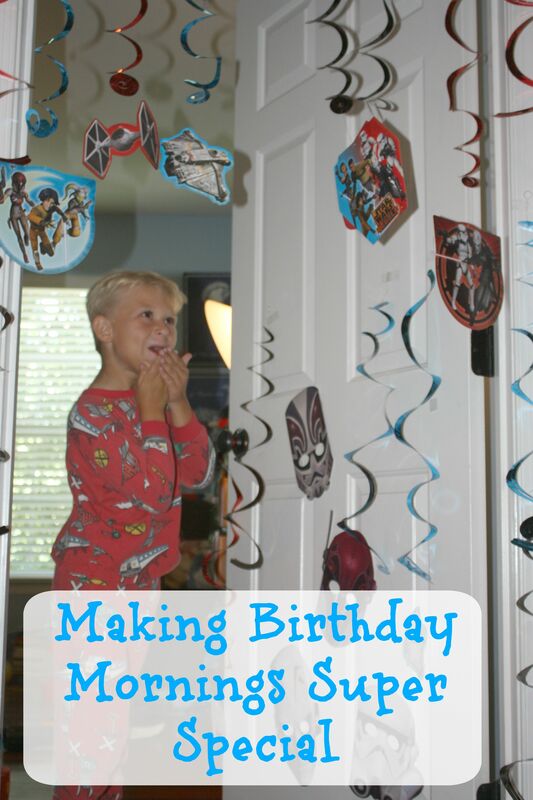 Oh how fun, I do the same thing for my kids on their birthdays so that they walk out to start the fun at their door! 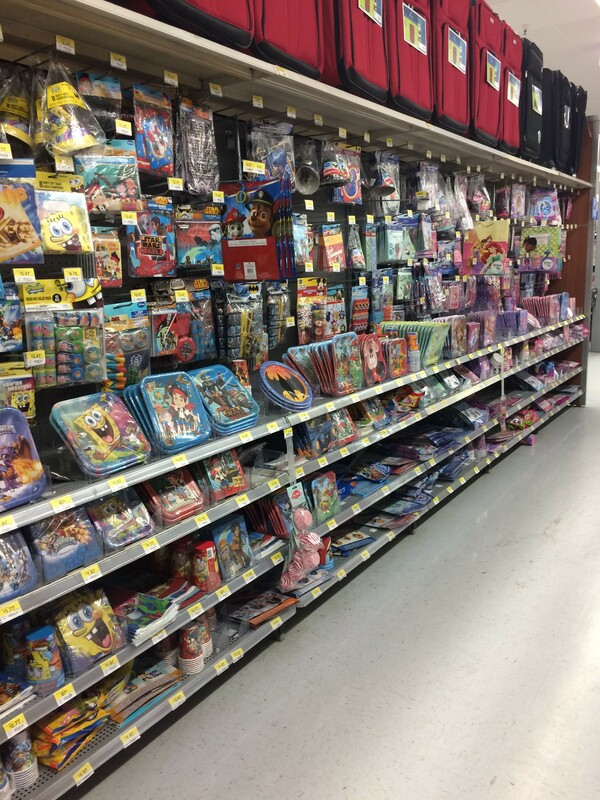 Walmart is one of my favorite places to get birthday supplies since they are so affordable. 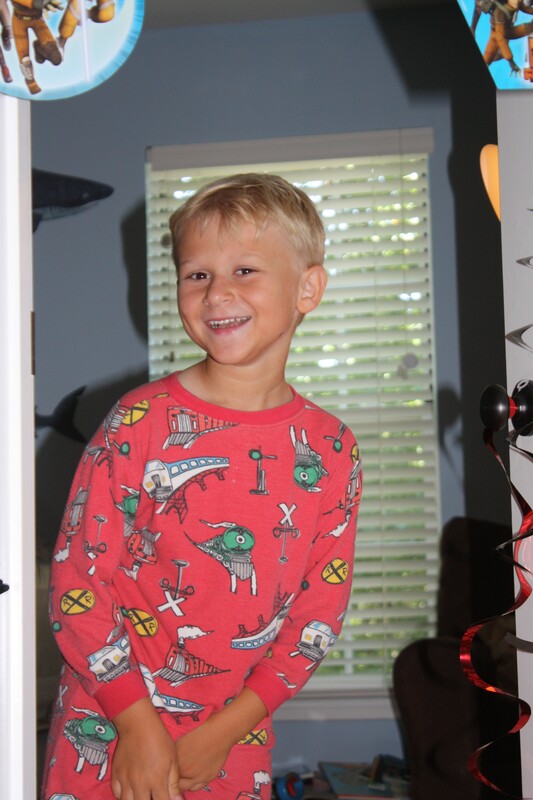 You make birthday mornings awesome! I try to do the same thing with my kids and make birthdays extra special. I”m going to try out your decoration ideas this year! I love the decorated doors. What a cute idea. Oh I love it! What a cutie you’ve got there. 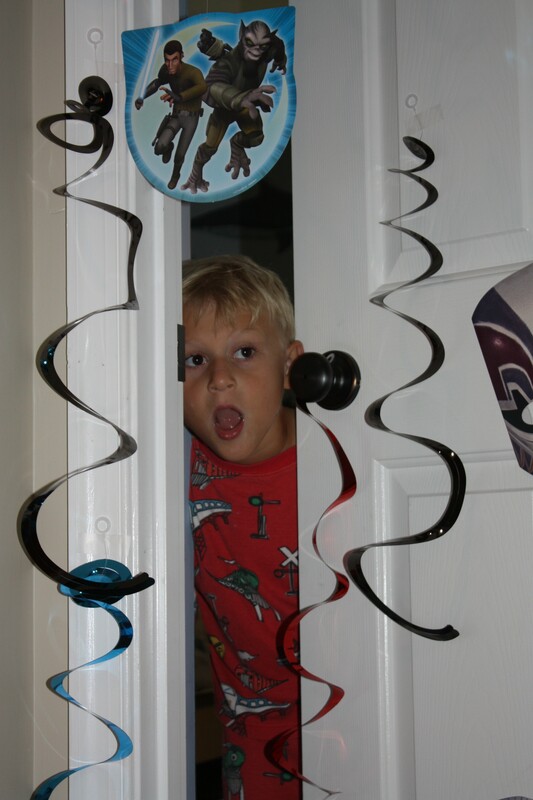 I love blowing balloons up after the kids go to sleep, then trapping them between the door and party streamers. so when they open the door in the morning balloons fall on them. Absolutely adorable! My friend used to have the balloon fairy come so that when the kids woke up on their birthday’s they had that many balloons all over their room. Such cute ideas. I agree that momma should make a big fuss over your birthday. I just have one question. What was it like after all that sweet stuff? 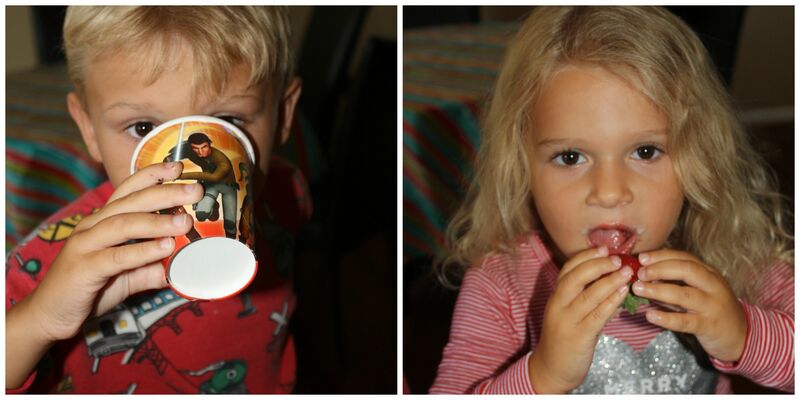 Were your kids bouncing off the wall? Whew! You have more guts than me! How fun! We love decorating our living room once the brithday child goes to bed. I love the bedroom door idea, I may need to steal that one! Aw his little fave is so excited! Something so simple means a lot to little ones. 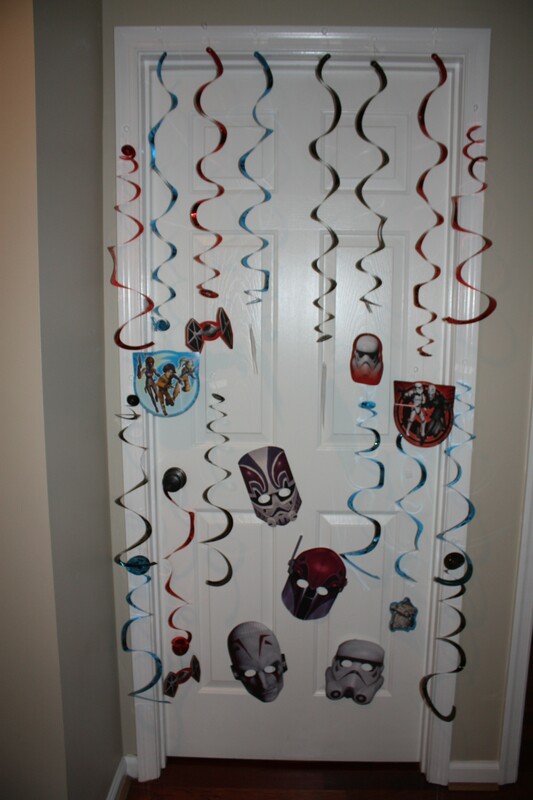 I love that door decorating idea because I think it’s great no matter how old you are! My favorite thing to do for my kids is make them a birthday cake from scratch. It might not be pretty, but it’s always made with love. Oh, and pretty much everything they get served on their birthday comes with candles, just for fun. Those little faces! 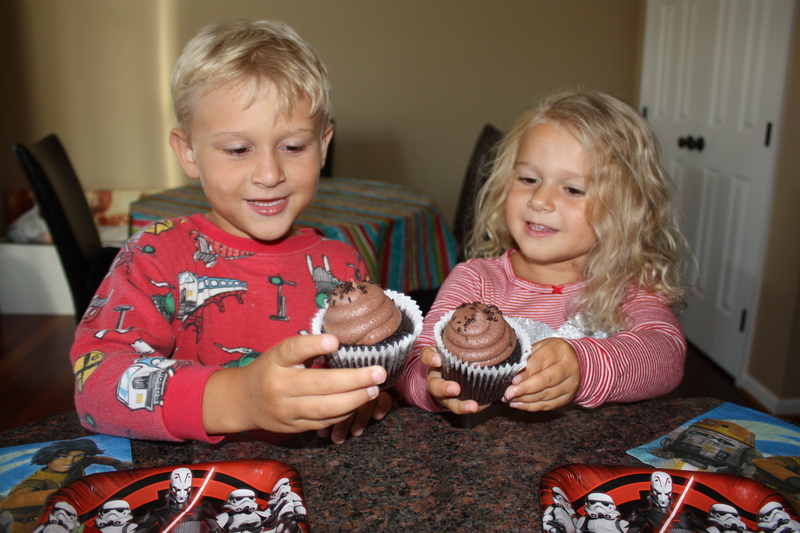 Great job on making their day, love your birthday morning celebration!